I have used Veil Cosmetic products in the past, and absolutely loved them! So when I got the press release about this new product, I have to say that I was pretty stoked! Usually I don't like to talk about products that I have not had the chance to actually try, but I make exceptions! This is one of those exceptions, because I am pretty excited about it! I LOVE anything really that will give you a matte look too the face. I know people are all highlight, highlight, highlight! But for me, I prefer to be matte! My face makes it's own highlight! Bahah gross, I know. In their demo video... (click the link to see it in action! 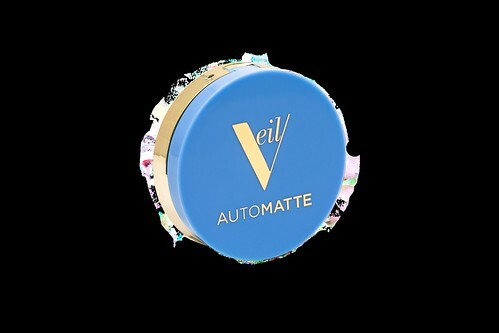 Veil Cosmetics AutoMATTE Video) I LOVE that they test this over 2 different skin tones! I think for me, even though I'm white, the fact that they showed it being used on a woman of color, it makes me excited! I think that there needs to be more options for those darker skinned ladies, so the fact that this totes the claim of being universal for all skin tones and types just makes me want to try the product out more, really for the basis of being inclusive to all skin ranges. That being said. I'll talk more about the product! AutoMatte has Vitamin C and E, that promotes collagen synthesis and protection. all while brightening and clarifying your skin. Which is pretty neat. I'd like to see someone who has used this product for a little while, verify these claims. That would pretty such a neat thing! There is nothing wrong for sure with getting extra vitamins in your skin! This is a powderless and oil-free product, as well as it is VEGAN! So That is definitely good for all of you who prefer your cosmetics that way! 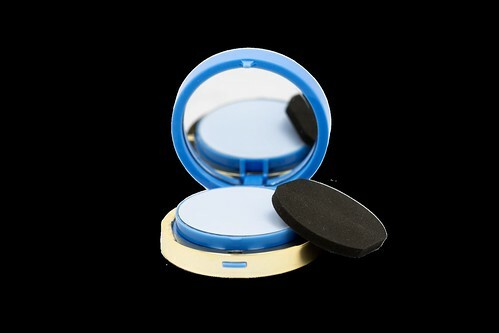 The powderless part can be very helpful, because it wont make your makeup look cakey. The oil-free aspect, is fantastic for those of us that have oily skin! I definitely prefer oil-free products, because my skin makes enough of it's own bloody oil, I don't need anymore! Haha! Another thing that I think is really neat about this, is that it can be used not only as a primer, but as a setting product as well! So you can use it before and after you apply your makeup! But wait there is more! (Lul!!) You can use this on your lips to give your lipstick a matte look, as well as using it to set your eye shadow. I can get down on the lip part, but I would really need to see the "locking your eyeshadow" in place portion, because that would be pretty dang handy in my opinion. Especially in this gross heat wave that is hitting everywhere and the gross humidity here in Florida. Keep in mind that this product is $39 and available on VeilCosmetics.com. But, in my humble cheap person opinion, this is a multi-use product that would last quite a while for me. So this is something that I personally could see myself using! So, in that aspect, I could justify the price, for myself! What do you think? Would this be something you would try! ?